It’s been a week for lists, what with the ‘bonfire of quangos’ and the Government spending review on its way. And if there wasn’t enough woe to go around the UK already, London has received a double blow in two other location-specific tables. Last week New York knocked London off the top of the list to become the world’s most creative city, according to creative communications ranking The Cannes Report. The report provides official rankings of advertising agencies by category, regions, countries and cites based on their performance at the Cannes Lions International Advertising Festival. New for this year, the awards ranked creative directors, art directors, and copywriters, rather than just agencies alone. The US held on to the top spot of the country category, yet again beating the UK, which came in second, and Brazil and Germany took joint third. Whereas the week brought bad news for London, Newcastle faired well in another list. As reported in the Financial times yesterday, the city won the top slot for the second year running as Britain’s most sustainable city, beating the capital as well as Bristol and Brighton. The fourth annual Sustainable Cities Index ranks the UK’s cities according to environmental performance, quality of life, its response to climate change and the dynamism of the economy. The index, which is compiled by sustainable development body Forum for the Future, awarded Newcastle the prize because of its clean technology cluster and the development of the electric car in the city. Do you think New York deservedly knocked London off the top spot as the most creative city in the world? 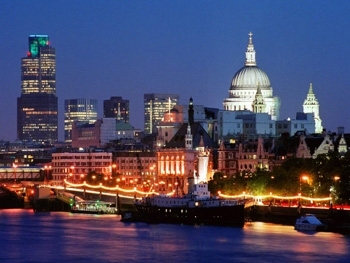 And what do you think the capital can do to improve its environmental credibility? Let us know below.